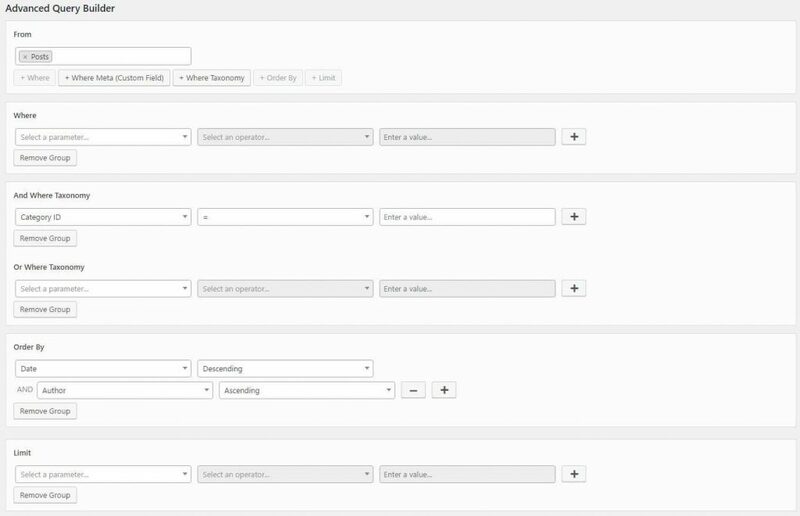 The new Conductor Query Builder add-on has arrived! The Conductor Query Builder add-on allows you to craft more complex queries with Conductor. The add-on has a simple view, and a builder view, which are usable in a shortcode for any page or post within your WordPress website. There’s also a Conductor Query Builder widget, which will let you select from all of your saved queries, to be used in widget form. 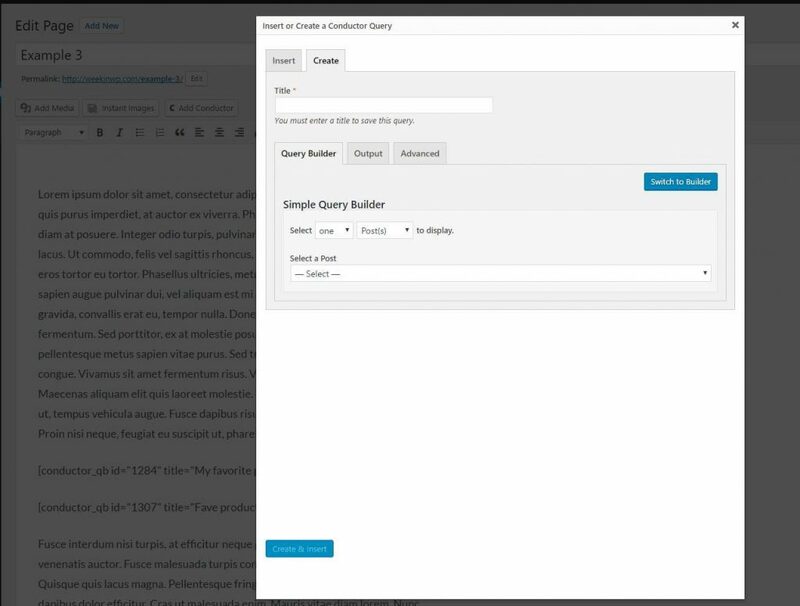 Lastly, you can also create or embed queries, from within the WordPress editor.